Here's a list of some GREAT causes that have impacted my life personally or touched the life of someone that I hold very close to my heart. The vision of the WWP is to foster the most successful, well-adjusted generation of wounded warriors in this nation's history. The sole purpose of our Foundation is to honor the legacy of love given to us by Stephen Siller, FDNY, who laid down his life on 9/11, by “doing good” in his name. The mission is to follow Stephen’s footsteps through support of children who have lost a parent, firefighters, and military who have been seriously injured and sacrifice their quality of life in the line of duty. Some of the world’s most highly trained athletes are the men and women who make up America’s armed forces. When they get hurt in action, it puts more than a game in jeopardy. 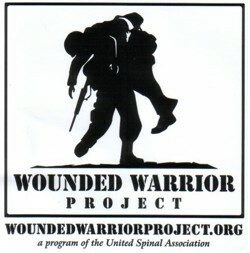 The Eagle Fund provides wounded warriors access to the highest quality of care possible.